I have created this classy Christmas party outfit on Polyvore - you can find the outfit details here. I saw this Hallhuber dress last weekend and i felt instantly in love with it. 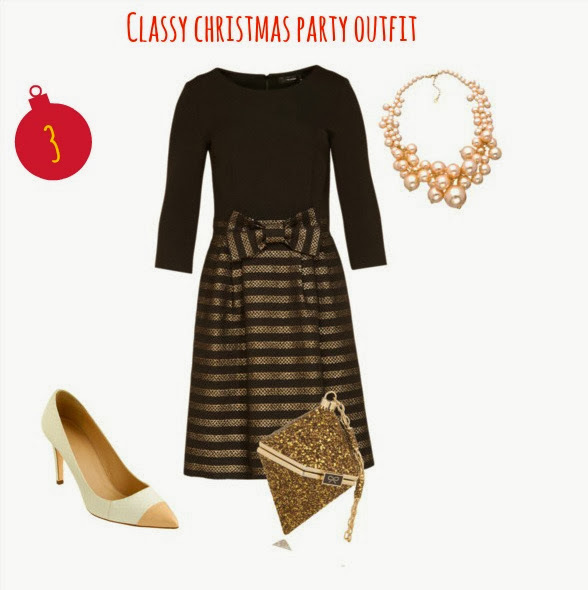 You can never go wrong with black and gold when it comes to classy Christmas party outfits! 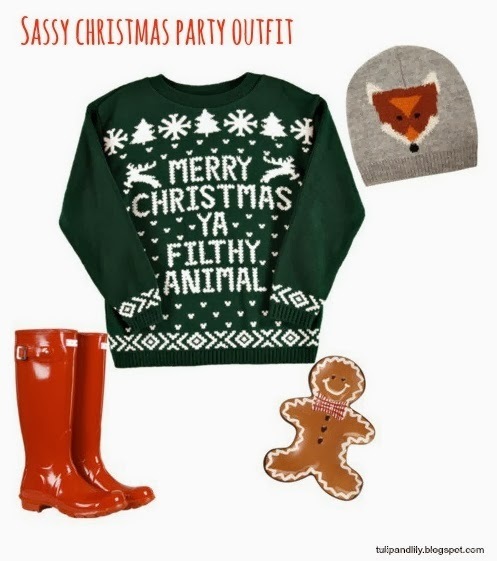 And here is my sassy Christmas party outfit for you! Isn't this jumper too much fun? You can find all outfit details here.